A lot of women either forget about oils or stay clear of them for fear that intentionally putting oil on their hair can only have greasy results. Essential oils are a simple remedy to dry or frizzy hair but it also helps with dandruff, balancing natural oils, add shine to your hair, and can be a great styling product. Essential oils can help with every hair type! The trick is finding the right oil at the right time for the right hair type. Essential oils are naturally healthy for your hair. If you have hair that often looks dull, tangles, lots of split ends, frizzy, or damaged from weather or hair color then you probably have dry hair. For dry hair you want to use essential or base oils that stimulate the sebaceous glands so that they produce more natural oils. You should apply oils mid-way through your hair down to the roots. Avoid your roots to prevent your hair from becoming greasy. Oily hair is that type that feels like it needs to be washed every day or it will look like you haven’t shampooed in a week. Oily hair happens when the sebaceous glands are overproducing sebum so you want to use oils that help restore your sebum to normal. The exact cause of dandruff is actually unknown but there are some theories like: dry skin, reaction to hair products, Malassezia fungus, diet, stress, etc. Top base/Carrier oils: Sesame Jojoba, Borage. Coconut oil is a great pre-wash oil treatment. You can throw some on and just leave it on for a minimum of 30 minutes or use a plastic cap to wrap your head and apply heat for 30 minutes. Argan oil is good for taming flyaways and preventing damage so you should use it before and after you blow dry or flat iron. Add shine with lightweight oils like camellia, grape seed and almond. 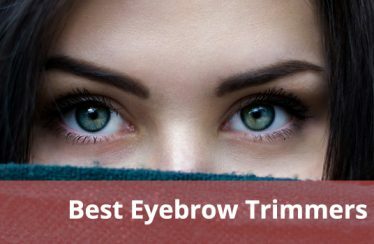 These are also great to tame flyaways and pesky cowlicks. Hot oil treatments are for every hair type you just have to mix the oils that help combat your personal hair type. They are a great way to give your hair that conditioned look without having to actually condition it every day. If you color your hair, abuse it with heat, or its just dry from weather then this is a great way to restore moisture and shine. On the other hand, by using oils that help combat excess oils can leave you with hair that doesn’t look like it needs washed daily. You should use a hot oil treatment once every week. The bottle of oils you’ve blended can be heated up by putting the bottle in hot water. Once you’ve heated it the oils you simply massage the oil through your hair and then rinse thoroughly and shampoo as regular. You can find some foot in your kitchen that also make great ingredients for your hot oil treatment. Including: banana, avocado, and eggs. We hope this short guide to oils for your hair helps you find the right product that nourishes your tresses.